Nena, Sheryl, Alexander, Rauben and Dave left for the Hukaaka Church of Uganda at 9:00am for the service. 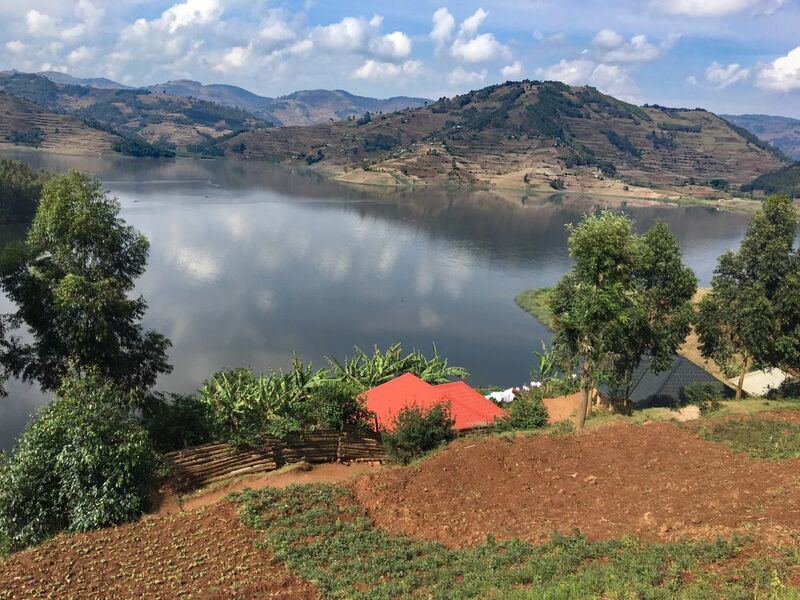 The drive was along a one-lane winding dirt path on the side of the mountain along Lake Bunyoni, that at times was washed out and at other times solid volcanic rock. We arrived at 10:15am just in time to hear the drums calling the villagers to service for the second time. Alexander explained that each church has its own drum beat for calling the villagers to service, funerals, weddings and deaths. Villagers are called to church twice, once earlier in the morning and the second time about half an hour before the service. Church started on time at 10:30am with the minister, his wife and three children, and one other villager in attendance. At 11:30am there were about 20 persons at worship, at 12:30pm there were 61, at 1:30pm there were about 80 and by the time we finished the church was full. It was interesting that worshipers didn’t enter the church when they arrived, they were ushered in with a song in small groups whenever there were 5-10 persons. The church had a beautiful view of Lake Bunyonyi. During the service the minister told the congregation that Americans are very time conscious and he apologized for his worshiper’s tardiness. During the service a testimony was given by a MEP woman who said that before MEP she was in debt, could not pay her bills and attempted suicide as she saw no way out of her situation. Then MEP came and offered her training and a way to make a living. She has now repaid all of her debts, and is a warden in the church. She said that MEP saved her life. After this testimony, the church broke into song and dance celebrating her testimony. 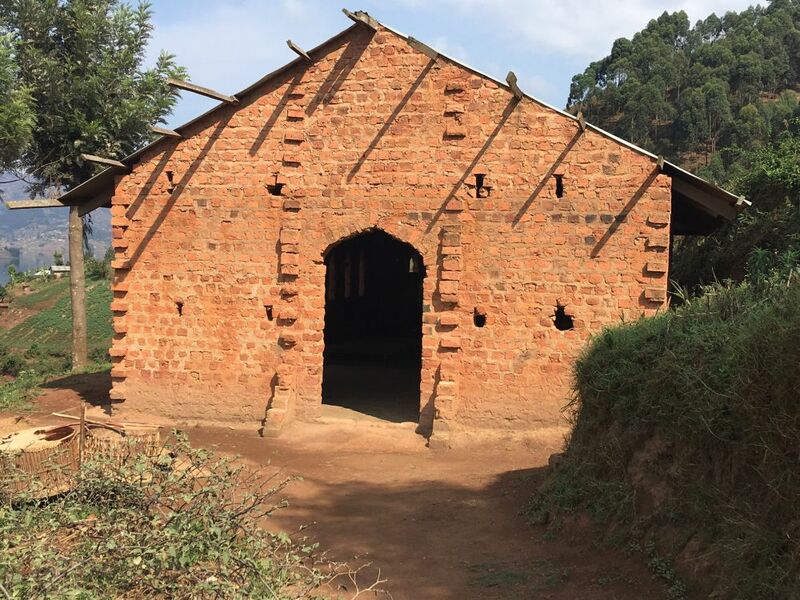 There were seven of our Muko HOPE orphans and their sponsors at the service, and afterward we were treated to a lunch of goat, ground nuts, rice, posho, sweet potatoes, and mutooke prepared and paid for by the guardians and volunteers in recognition of our visit. Nena was able to spend a little time with her grandmother’s orphan Gordon and his grandmother, with several pictures to share.